What is the place of Papert’s “microworld” of Logo in this era of programming, coding and making? Ok, let’s spare the suspense here. Yes, I think Logo has a place as a valuable programming language with primary and even intermediate learners today. 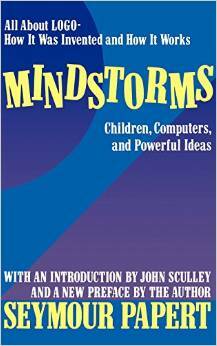 Papert’s Mindstorms book has had a tremendous influence on my thinking and I must admit to being profoundly impressed since it was written and researched in 1980(!) In this book, Papert explores the potential of “world building” through a computer language that he and his team created called Logo aimed at “world-builders” AKA all learners and explorers. The digital turtle serves as a learning tool manipulated and programmed by students using specific rules in the Logo environment. As learners manipulate the turtle in creative ways, they are in the act of constructing a world of their own. As a Computer Science teacher in 2015, I wonder what is the place of Logo on teaching and learning in this era of creating, coding, making and of course programming? In specific, I have been revisiting Papert and his team’s “microworld” of Logo with primary learners using Microworlds Junior. I must admit that the majority of my attention and Computer Science lessons with primary and junior students have been focused on Scratch and Blockly through the code.org site. However, Microworlds Junior especially has been an excellent gateway tool for programming, drawing and digital tinkering for learners in Grade One to Three. When evaluating their projects, I asked our creator to consider the perspective someone “playing” their file using three questions. Is it clear what to do? Is it fun? Can I replay? These questions provided tools for self and peer evaluation and potential next steps although they are certainly not the only criteria for success. In below pictures and videos, students had the choice to create an animation, story or game on a topic of their choice. Here are a few strategies that I hope are inspired by Papert’s research and demonstrate good pedagogy for encouraging creativity, design thinking and help prepare primary learners for more advanced programming skills. 3. Celebrate their achievements: I use my SMARTboard to showcase their progress, constantly video recorded their programs using a camera, iPad, Surface and smartphone (I kept running out of space quicker than I could say “upload to GDrive, Dropbox, OneDrive etc.”) OR create sites like this one Turtle Art site. 4. Encourage failure as an opportunity – F.A.I.L. 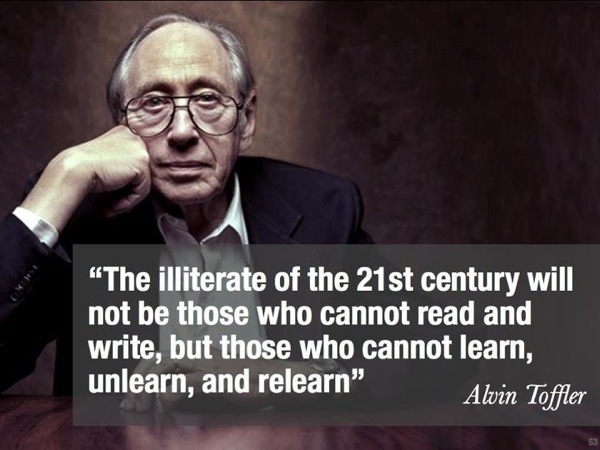 is simply the First Attempt In Learning or put another way “We are only working with current best idea.” which I attribute to Heidi Siwak from the #bit14 conference last year. 5. Allow collaboration. I let them help and teach each other so the class is a busy and active one. What cannot happen is that Logo (or other programming tools) should be used to explore traditional teacher-led pedagogy. If Logo is taught as “content” then I think is loses it potential as an amazing “playground” or “sandbox” for digital play, program creation and innovation. Check out Jim Cash’s excellent post (backed up by much academic research too!) critically examining the work of Papert in the context of the recent increased interest in the coding and making movement. and the work of Peter Skillen as a fun and experienced advocate of Logo and the work of Papert. Here are a few sample teaching slides I assembled for classes. Here is the link to MicroWorlds Junior site. Gary Stager’s excellent TED Talk on Seymour Papert” Inventor of Everything! There is no question that marks or grades remain a constant in education in both the lives of students, teachers, administrators, parents and politicians in 2015. Yet today, we have many tools to document, assess student learning and achievements with a remarkable level of specificity beyond a student’s Grade Point Average (GPA). Futurist Turri, believes that “the grade point average (GPA) will no longer be the primary instrument to validate academic achievement.” (Turri, Disappearing Future 2. Educational Processes) How would such a transition from a marks-based to a standards-based approach in education impact assessment processes? How can we leverage sound pedagogy, learning theories and technological tools to aid students to achieve and learn with rigor yet allow them individual expression and reflection? Could instructors and institutions use strategies such as badging or digital portfolios to measure student progress for future learning opportunities and even offer them as admission standards for future learning or employment? Would a standards-based approach aid graduates given how critical self-directed and lifelong learning will be in our increasingly complex times. This YouTube video from Mozilla explores the reasoning, practices and potential methodology behind digital badges. This diagram I designed showcases the Badges Ecosystem as described by the Mozilla Open Badges video above and John Foster’s article. This diagram has the learner in the middle, who is awarded a badge from an issuer (a respected authority figure on a topic or subject) which is stored and displayed as part of a collection and ideally as part of digital portfolio. The critical step of this ecosystem must be the potential link between the badge and specific evidence of the individual’s results and achievements. Jackie Gerstein states this in her blog post “I Don’t Get Digital Badges!” (ed. note – I believe she actually likes them, but offers a fair and critical review of badging as an indicator of student progress and achievement not a replacement.) 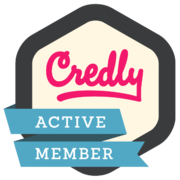 Finally, badges are stored in a public place like a digital portfolio, blog or websites for interested parties (i.e. admission officers, potential employers etc.) to access and review. A good critical analysis demands that we address some of the challenges with badging. In specific, some might say that students escape rigor through a “easy pathway” of courses in higher institutions. (i.e. B.Sc. students could avoid the dreaded “Bio-Chemistry” course, Social Science students avoid Math heavy statistics course or Arts students avoid learning a second language as prerequisites for graduation.) Critics might say such gaps could undermine the reputation of the institution by potential employers who expect employees from a particular course to have a specific set of skills. However, such a pathway would be a learner’s choice and employee with access to badge information could examine a canditate skills in more rather than less detail. Finally a student in Halavais course from above wonders “whether the system would be too unstructured for a less motivated younger student. ” (Ash, 2012) In response to that criticism, I would suggest that good curriculum design and lesson planning could allow K-12 students, who I would argue love choices, to experience an equally rigorous pathway. Examining badging through the lens of a humanist learning theory, reveals that badges could provide a authentic record of learner’s pathway of exploration, understanding and interactions with others. Badges would be an excellent method to map out and articulate Malcolm Knowles’ ideas on self-directed learning. 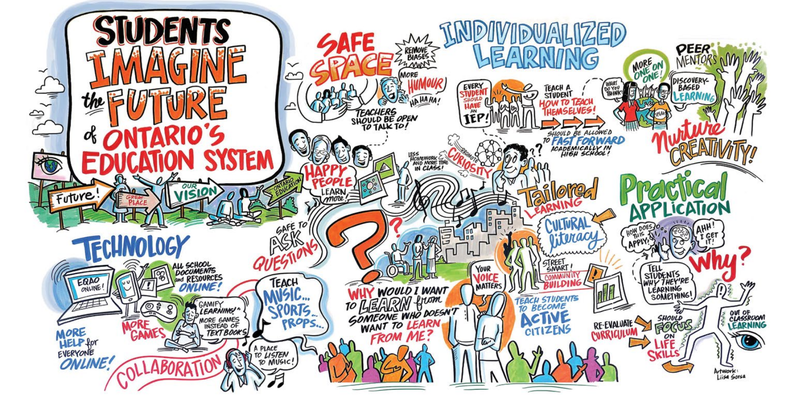 This pathway of learning could also include a wide range of interactions and connections that demonstrate curiosity and the active journey to change society as Freire suggests. Perhaps through reflection and detail provided in a digital portfolios, full of badges, visitors might even be able to see evidence of the journey towards self-actualization at the top of Maslow’s hierarchy of needs. In short, the opportunity to have a clear record of specific learnings beyond traditional methods like degrees and marks helps individuals present a more accurate expression of themselves, perhaps even approaching the ideal self. From cognitivist and constructivist perspectives, a collection of badges might provide a map of the “black box” of a learner’s brain. In addition, badges when accompanied by a collection of writing, thoughts and reflections perhaps in digital portfolio format could provide a road map of a learner’s journey through Piaget’s stages of development. Such a format is an excellent artifact for examining a learning’s thinking as they assimilate and accommodate new learning. Learners, dependent on age and stage, can also be aware of their Zone of Proximal Development through examining and planning their learning pathways and through collaboration between teacher and learner on a portfolio. Learners should definitely be able to view, question and explore the criteria for earning specific badge in order to consider next steps. Finally, the link between play, gaming and learning is reinforced as badging is often a huge element in recording a gamer progress in the completion of the game. Critical to this connection between gaming and badging is providing a non-linear structure for learning where learners can “unlock” badges and a variety of learning pathways that appeal to them. Badging has much potential to aid teachers and students if grounded in good pedagogy, fully supported by parties internal and external to organization, as a reward for rigour, student success and achievement. Such student progress MUST be accompanied by specific evidence, perhaps a embedded in a portfolio or badge itself or as a open link. Considering learner motivation towards is challenging because “(I)t is beyond argument that we cannot crack open a learner’s head, insert a magnifying glass, and make direct, error-free observations of what the learner “knows.” (Wiley, 2012) My experience with badging seems to indicate that this strategy of portfolios and badges will motivate most but not all. However, in the differentiated classroom, educators must leverage a variety of tools to appeal and in some cases motivate all the individual learners in their class. Through the lens of learning theories, I would argue that badging and digital portfolios need to be continually examined critically but at this time have potential for a positive impact on learning. Experiences with badging in three environments, junior students in Grade 4, senior students in Grade 11 and 12 and finally educators seem indicate that badges and digital portfolios provide an asset for both educators and learners in the assessment process. How can Technology be used to help keep education relevant at all levels? This video presents a glimpse of what the current situation is in terms of information, technology and knowledge generation around the world. It presents a situation. As we discussed, if a “problem” is the “gap” or distance between a current existing situation and a different maybe more desirable one, then what you need to do here, is to look at this and first of all decide if “education” as a social project in its current form, meets its own objectives. Is it and will it be relevant to it’s own context (the current situation and it imaginable short term future)? More specifically, if digital technology is having such an impact on all domains of human activity, how can this technology be used to help keep education relevant at all levels? You are asked to discuss this question and try to clearly identify the associated “problems” in this forum. Maybe start by identifying clearly what the situation is currently and then what would be a desired situation. Following this, you should likely work on establishing what the “gap” is (and maybe even assessing if it is within the ZPD of each group?). Each of you is asked to choose a specific perspective (thread in this forum) that you will adopt for the purpose of this activity only. Hopefully we can get a few people looking at each one? (We will rotate the groups for the other “problem” activities so that you can experience at least four different perspectives during the course). Along with full time teaching. I have focusing on my Academic studies, so feel free to check out my Academic Research pages. Each week we are encouraged to explore the perspective on the above list. 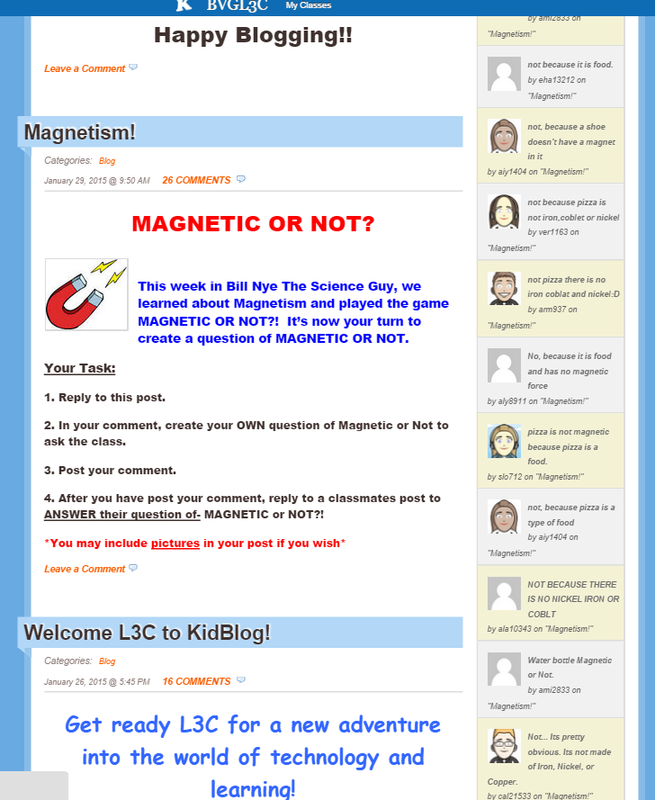 My Learning (B)log here for EDUC5101g will be recording my progress as I learn and explore. Feel free to explore my latest posts here. 1. ICT provides much opportunity for student learning. Dr. Laurillard suggests in her book Teaching as a Design Science (Laurillard 2012) that ICT provides learning types or opportunities in the following categories (acquisition, discussion, investigation, practice, collaboration & production.) 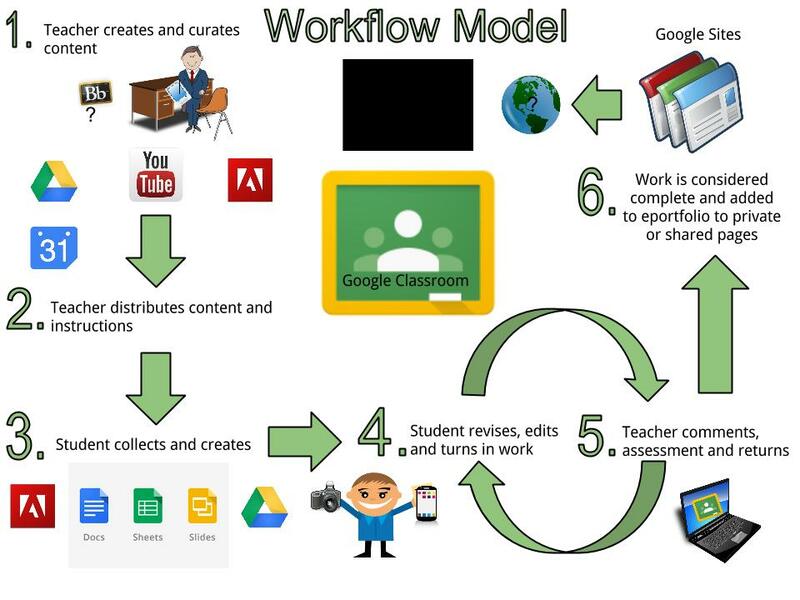 This model will be helpful for me and my PLN for future lesson planning, collaborations and discussions on technology integration. In the course, there was considerable emphasis on a student’s ability to learn, play and create as a core foundation which resonated with me. Although technology skills are increasingly proving vital for student pursuing academic studies and eventually finding employment, the emphasis of the integration of technology should be primarily focused on creating the best learning opportunity for students. 2. Much can be learned from exploring globally how primary schools integrate technology. As teachers we are always so focused on our own schools and students (pupils) that the opportunity to peek through classroom walls (and schools), hear directly from leaders and review specific case studies was a powerful learning opportunity in this MOOC. In particular, a school in Singapore had an excellent 1:1 model which comprehensively involved all members of their learning community. I also liked the emphasis on ICT in UK primary schools away from traditional ICT skills like word processing towards an updated curriculum emphasizing computational thinking and creative tinkering using technology. Robot arms, Beebots, Probots and other educational programming. Yes, please… In fact, one of the assignments was to make a technology decision for your school, my proposed suggestion was to add more computational thinking opportunities through apps like Scratch Jr., Kodable, Cargo Bot, Hopscotch, Move the Turtle and Daisy the Dinosaur and hardware like Beebots, Probots and Lego We-Do and Mindstorms. 3. I reaffirmed the importance of Computational Thinking and its place in the primary curriculum. Here are a few computational thinking resources that I explored in the course. National curriculum in England: Computing at Key Stage 1 and 2 Wrote about this in my presentation on Scratch at last year’s ECCO conference but the UK is making some bold moves in updating its curriculum to promote programming which is quite commendable. In specific to my experience, I would love to implement Beebots, computational programming apps for primary students like Scratch Jr., Scratch among others and extend use of programmable Lego like We-Do and Mindstorms. This should make for an exciting year. 4. Collaboration and teacher support is vital for the successful integration of technology. This theme was echoed in forums, discussions and projects throughout the course. In one part of course, an Australian ICT teacher named Sarah Hill worked side-by-side with teachers at all stages of integrated projects, starting with an initial professional training and development session, followed by collaboration and team teaching when necessary. Although not mentioned in this specific video, the need for reflection and evaluation after integrated projects is critical but often overlooked in the hustle and bustle of the busy classroom and lives of teachers. I try to emulate this practice in my collaborations with teachers emphasizing support and student needs over any of my technology preferences. Other resources explored in the course include Learning Designer, Diigo and Twitter as excellent online tools for teachers to connect and share resources for the successful integration of technology. Increasingly the creation of a online and growing PLN both inside and outside the school is a helpful strategy for teachers. I believe children see technology as “their” medium with so many opportunities for them to explore and create. Even traditional subjects are more motivating when explored through technology. Here is a research paper from UNESCO on the perspective of children. 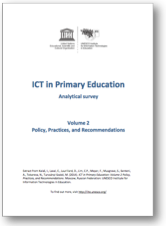 Read Chapter 7 ‘Students’ perspective’, of the UNESCO Book ICT in Primary Education. Volume 2: Policy, Practices and Recommendations. Here is a link to a Padlet with some drawing, pictures and perspectives shared by teachers in the course. Here is a link to my Course Journal from my Academic research tab. Feel like ALL the tablet guides on the internet are about the iPad ONLY. Me too! The iPad is great as a learning tool but definitely does have some limitations. Hello Flash! Exploring this web based learning tool encourages educators explore the benefits of a Windows-based tablet (I use the Microsoft Surface Pro 2.) as a full laptop replacement. 1. Using the Microsoft Surface. 2. Why Tablets? What Surface? 5. New pedagogies and approaches to learning. 6. Next steps with tablets. Thanks in advance for your ideas. Join the conversation!